With the Doomsday Fallout Ninja Sword, you are sure to be ready for anything. Made of 420 steel, this functional weapon is made for survival, sporting a modern and tactical appearance and a handle wrapped in bright green nylon. 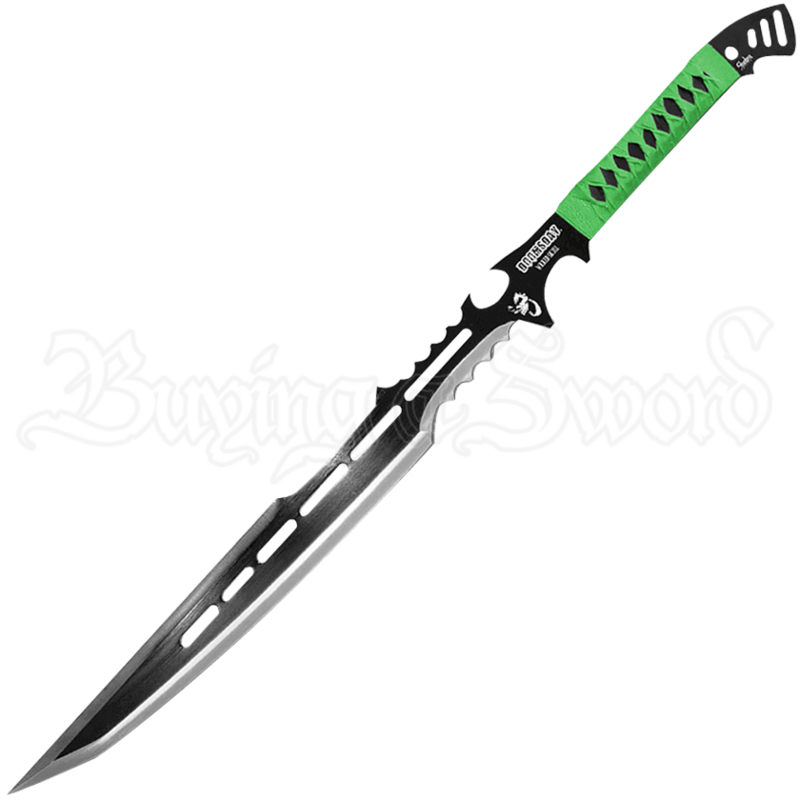 The full tang sword has a blackened coating throughout, save for the cutting edge which is left uncoated. The area of the sword closer to the hilt features a saw tooth edge, while it also has cut outs throughout to reduce its weight and improve balance. 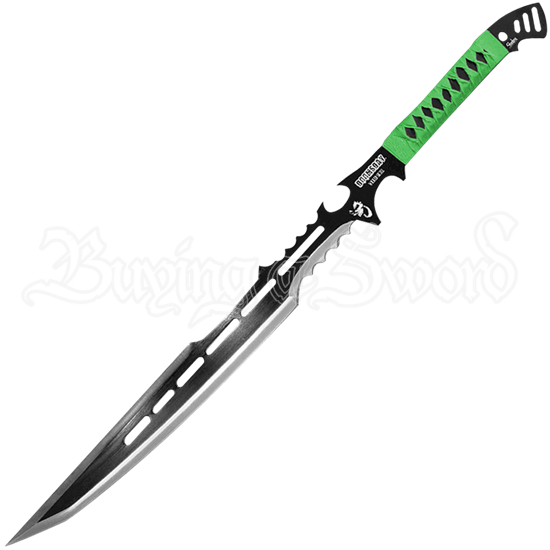 Add this battle ready sword to your arsenal today, an excellent addition to any collection of apocalypse-style weaponry.